Our Botox Courses Birmingham – Foundation to Level 7 have arrived. Medical & Aesthetic Training Academy (MATA) are thrilled to announce we are offering BOTOX Courses in Birmingham, including our internationally recognised Level 7 BOTOX® training. Over the last decade, the demand for aesthetics procedures such as BOTOX® has increased rapidly in the UK. Of course, with an increase in demand comes an increase in the need for reputable practitioners. Harley Street based MATA is expanding and is now bringing its expertise to all of the key cities in Britain. Birmingham is the latest city in which we will be offering our outstanding, government-aligned learning sessions for BOTOX®. In order to legally and safely practice BOTOX® in Birmingham, practitioners must adhere to the standards set out by UK law. At MATA, our BOTOX® courses go above and beyond the necessary qualification requirements needed in order to legally administer BOTOX® treatments on patients. 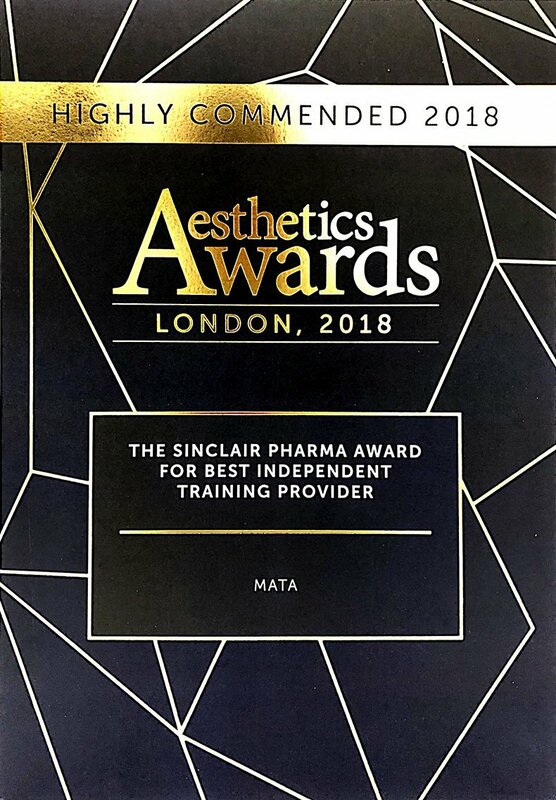 There are two levels of Botox Courses Birmingham on offer at MATA, Foundation and Advanced, both of which act as units towards the internationally recognised Master’s Degree which is Level 7 in the UK system. If you complete and achieve your certificate in either of our BOTOX® courses you will more than just meet the basic legal requirements to be able to legally practice the treatment in Birmingham. When learning with MATA you will achieve a fully comprehensive understanding of all things BOTOX® from the difference types of products available, to how to manage any possible complications. 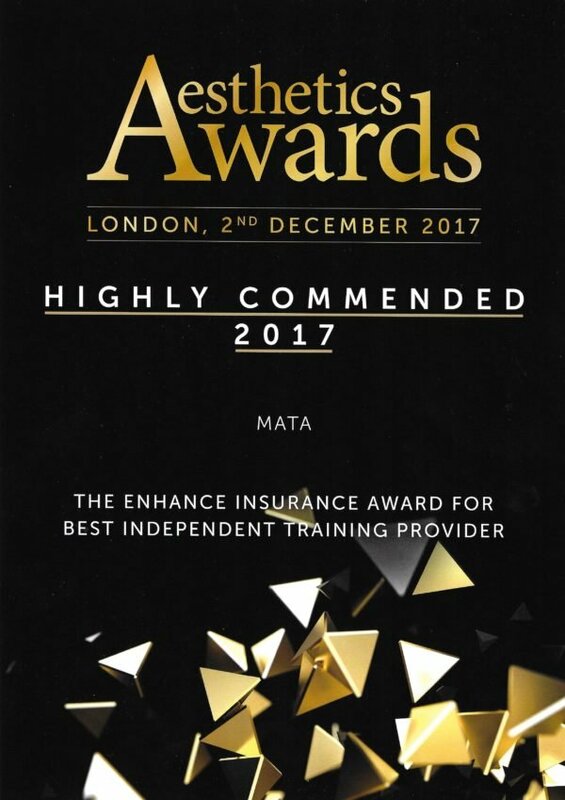 The certificates awarded by MATA are your proof of attendance and passing assessment which will enable you to get indemnity insurance. Once achieving this level of certification with MATA your certificates will provide reassurance to your employer where applicable and your patients. Facial anatomy provides the basis for our Foundation Level. Once a thorough understanding of facial anatomy has been achieved delegates will build on this knowledge, working towards a solid skill-set for treating all areas of the face. As part of this, all trainees will study the importance of patient assessment and gain essential experience through practical demonstrations and practice on real volunteer patients. As our BOTOX® and Dermal Fillers training require the same basic theory, the treatments complement each other well, and so, most delegates find it beneficial to study both on one of our two-day weekend courses. At MATA we offer award-winning accredited qualifications and courses. We are a well-established training academy based in the UK’s capital of London, and we are fast becoming a trusted name in Aesthetics training across the globe. Online Theory – Our exclusive, fully comprehensive, university standard virtual learning environment (VLE) provides the backbone of this aspect. Through a unique login, delegates are able to access the online portal which contains written resources and interactive tests covering all of the theory required to pass the course. Delegates complete this aspect through flexible self-motivated learning, in their own time. Courses tutors are of course available to contact for support throughout the self-learning process. Tutorials – The face to face sessions with your tutors. Usually you will find tutorials are in the morning before your practical sessions. Group sessions cover theory with trainers on hand to answer any questions and provide necessary demonstrations, making sure you are up to speed before progressing onto the practical aspect of the course. Practical – We understand that before doing so, the thought of injecting a live patient can be quite a daunting one. Because of this MATA offers the opportunity to practice on cadaverous materials first, followed by live volunteer patients. This gives you the chance to get real, hands on experience and feel confident in your abilities after completing the course. Assessment – Your progress and ability to meet criteria will be assessed by a combination of completing a log book, various clinic based assessments and passing a written examination. MATA put safety is at the forefront of everything we do, and as a training academy we have always been advocates for better industry legislation. Because of this, our courses have been designed with ongoing input from scientists and industry specialists. We will always keep our learning groups small, but large enough to encourage good interactions. We find groups of around five to ten delegates is just about right to get this balance. Online theory – studied in your own time via our university-standard learning platform with interactive tests. Tutorials – group sessions with demonstrations and hands-on practice, starting with cadaverous materials and later progressing on to live models. If your profession is not listed, but you think you may be suitable for our course, please get in touch to enquire. The BOTOX® Advanced Level at MATA is the next step in anti-wrinkle injections training for those who have already completed MATA’s Foundation Level training course (or equivalent). This course covers the injectable therapy further in depth and looks at more advanced treatment areas and techniques. Birmingham is a major city in the West Midlands famous for its industrial revolution landmarks and network of canals which are now lined with trendy bars and eateries. Whether you desire a cruise on the canals or would rather stay on foot wandering around the many museums and galleries there is plenty to do in this wonderful city. It’s worth mentioning for those with a bit of a sweet tooth Birmingham is where Cadbury World can be found, an attraction to satisfy your appetite as well as lust for entertainment. Also home to the famous Bullring shopping centre, even if it’s just a spot of retail therapy you fancy Birmingham has a lot to offer.